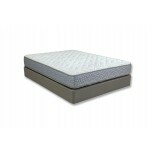 Available in Twin, Full, Queen & King Sizes Classic Firm Mattress Pairs with a Matching W.. Available in Twin, Full, Queen & King Sizes Plush EuroTop for Support & Comfort Pairs.. Available in Twin, Full, Queen & King Sizes Plush PillowTop for an Extra Soft Feel Pairs ..
Double-Sided Mattress for Extra Long Durability 2-Sided Mattresses if properly flipped all..
Double-Sided Plush Mattress for Extra Long Durability 2-Sided Mattresses if properly flipp..